I found a pretty serious performance bug with XMLRPC and Windows Live Writer, which is a really popular post software made by Microsoft in use by many large blogs. In my continuous fight to improve performance, or rather figure out what the heck is badly slowing down my server, I noticed that I get a lot of stuck doing_cron apache processes after posting and the load shoots up. Exactly as above, 2 lines. So, what I think happens is a bunch of wp cron processes roll through 800 posts all the time and try to ping non-existent servers, which fails. Then the field is not cleared and this happens again and again. At first, I wasn't able to figure out where this value is coming from, but then it hit me - I was able to trace it back to Windows Live Writer's interface. Take a look: ​http://farm6.static.flickr.com/5029/5760026936_50895cd36e_b.jpg. The value here is grayed out, meaning it disappears as soon as you click into it. However, it seems like WLW sends it along anyway, even if the user doesn't fill it in. Then it gets put in the database exactly as above and here we are. I realize it's not a Wordpress bug per se, but I believe it affects a lot of Wordpress installations that use Windows Live Writer and it's already too late even if MS fixes it. Getting MS to fix it is a whole different business. is do_all_pings() really run every time cron runs? is it possible that multiple doing_cron processes end up running at the same time due to concurrency issues on very busy servers like mine? I see a ton of them during high load, all running simultaneously. They should really be using a semaphore of some sort. can this bug be worked around in Wordpress? 17560.first.diff​ (1.4 KB) - added by xknown 8 years ago. Introduce sanitize_trackback_urls function. I only consider http and https as the protocols that allow trackbacks. 17560.second.diff​ (1.8 KB) - added by xknown 8 years ago. Second try. Clean also the urls returned by get_to_ping. Not tested. 17560.3.diff​ (1.8 KB) - added by SergeyBiryukov 7 years ago. 17560.4.diff​ (1.8 KB) - added by SergeyBiryukov 7 years ago. 17560.5.diff​ (1.8 KB) - added by SergeyBiryukov 7 years ago. 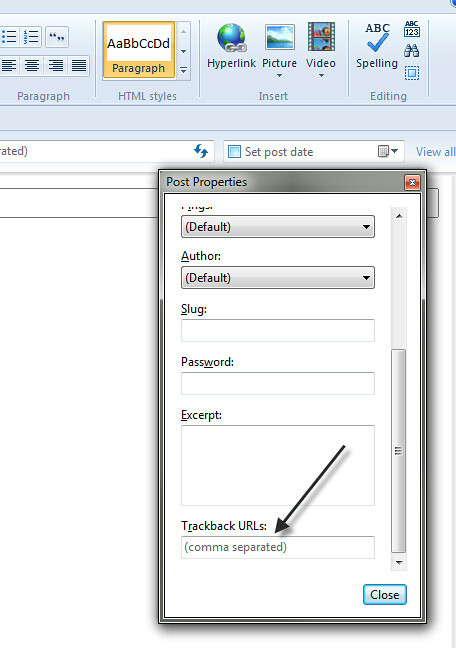 I think WP should clean all the trackback urls that do not start with a protocol when saving the posts. If nobody proposes a patch, I'll try to make one by tomorrow. Sounds like a good solution, which will be easy to verify using the steps above (post, then update using WLW). Bug #17210 seems to be caused directly by this bug. I've left a comment describing my findings there. 17560.first.diff works, except it doesn't alleviate the problem of re-selecting all the same rows every time. Bad data should be cleaned in the posts table after the ping, shouldn't it? I've confirmed that fixing this bug and #17210 that it causes solved my massive load after each post is published problem that's been getting worse and worse over the past months and made me lose a lot of sleep. Wordpress makes sense again! I like this. It probably has hardening benefits. Perhaps esc_url_raw() could be used in some way? We should probably remove the trim(), though, and do that in the function. Will it make it into 3.3? Combined with the wp-cron locking fixes, which are still very much problematic in 3.2, this would make 3.3 the most exciting release I can remember. Need to be careful with \s which can break some UTF-8 characters. 17560.4.diff​ uses \r\n\t and space. This looks good, but let's wait until 3.4 early to get more soak time.